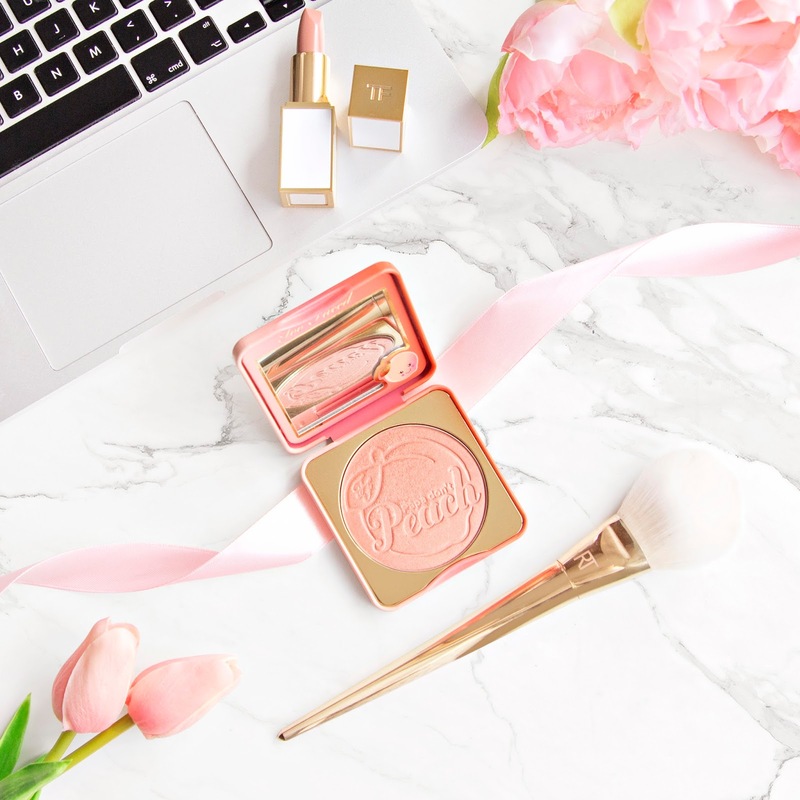 As a pale girl, blushers are some of my favourite makeup products to buy. They instantly perk up my complexion, adding a healthy pop of colour to my otherwise ghostly skin, and I've noticed that they seem to be some of the most beautifully packaged products, which makes them very difficult to resist. I have quite a collection building up now, but these are the three that have stolen my heart over the past couple of months. When Too Faced's Papa Don't Peach Blush landed on my doorstep I tore off the bubble wrap and morphed into a living embodiment of the heart eye emoji. It is such a beautiful product to look at, with the soft coral packaging and cute little smiling peach face, plus the fresh peachy scent is just so lovely. The colour is a little warmer than my usual pink picks, but I've found that of all of the blushers I own this one gives the most radiant glow to my skin (it has a very subtle shimmer which really boosts the glowy, healthy looking finish). The formula is quite sheer on application, but is also build-able, so it would be really difficult to over apply this one. I just love everything about it! 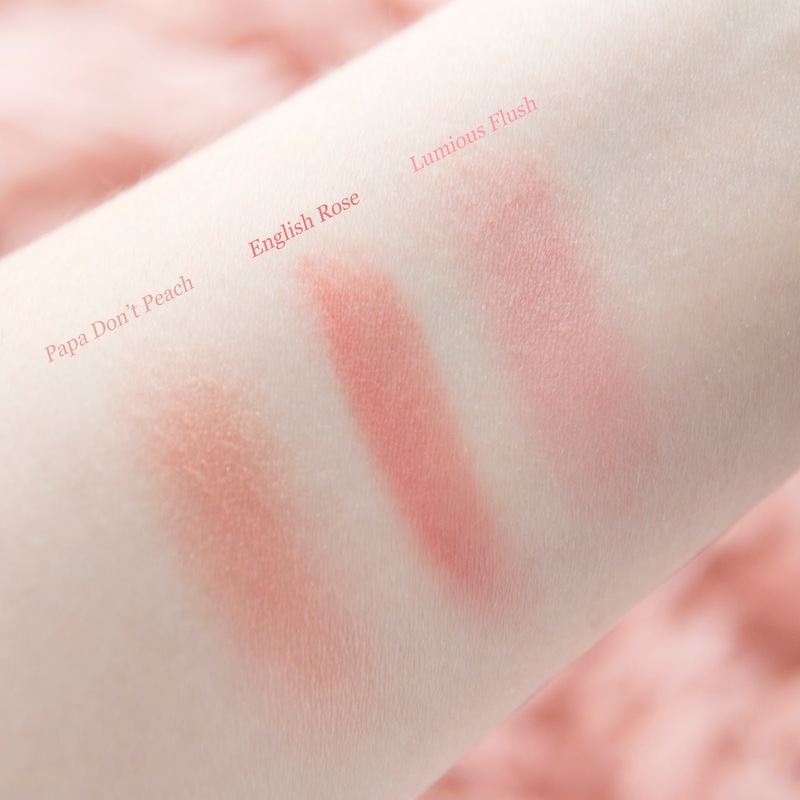 Before purchasing English Rose Flush from the Autograph by Rosie range I had never owned a cream blush, but I fell in love with the shade when I swatched it in M&S, so I decided to give it a try. The first time I tried it I was really scared that I would over-apply and end up looking like a ventriloquist's dummy, however when it came to it I needn't have worried because it was really easy to apply! This beautiful dusky pink blush is highly pigmented, so you do need to use a light hand, but it blends really well and settles down into a matte formula, which then stays in place for the entire day. 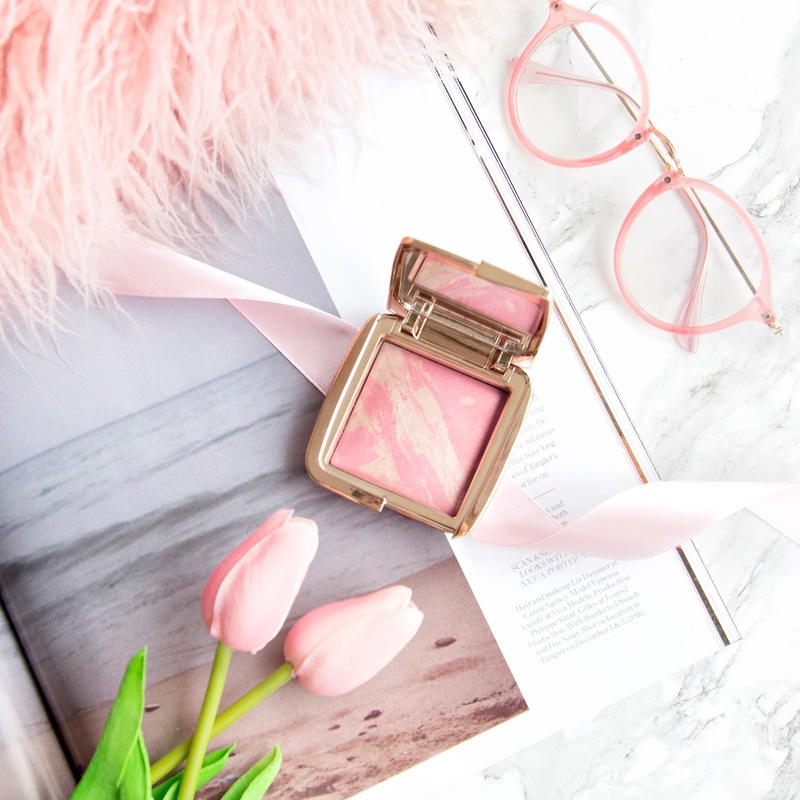 I've owned the Hourglass Ambient Lighting Blush Palette for a couple of years now (I managed to pick it up in a sample sale for only £5), so it took a long time and many Google image searches to convince the sensible part of my brain that I needed to own an individual blush too. 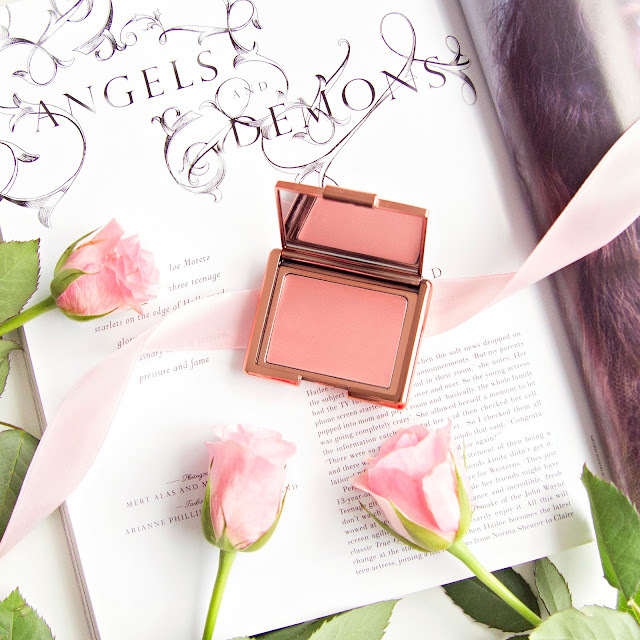 Luminous flush combines swirls of champagne with a beautiful rosy pink shade, which adds the prettiest natural looking pop of colour to my skin. The formula lies somewhere between the two mentioned above, less sheer than Papa Don't Peach, but not as pigmented as English Rose, meaning it's incredibly easy to apply and blend. The packaging looks and feels very luxe, and would be difficult to break (which is important considering the price tag of £32). For me this is a gorgeous every day blush, guaranteed to immediately perk up even the most grey of complexions. 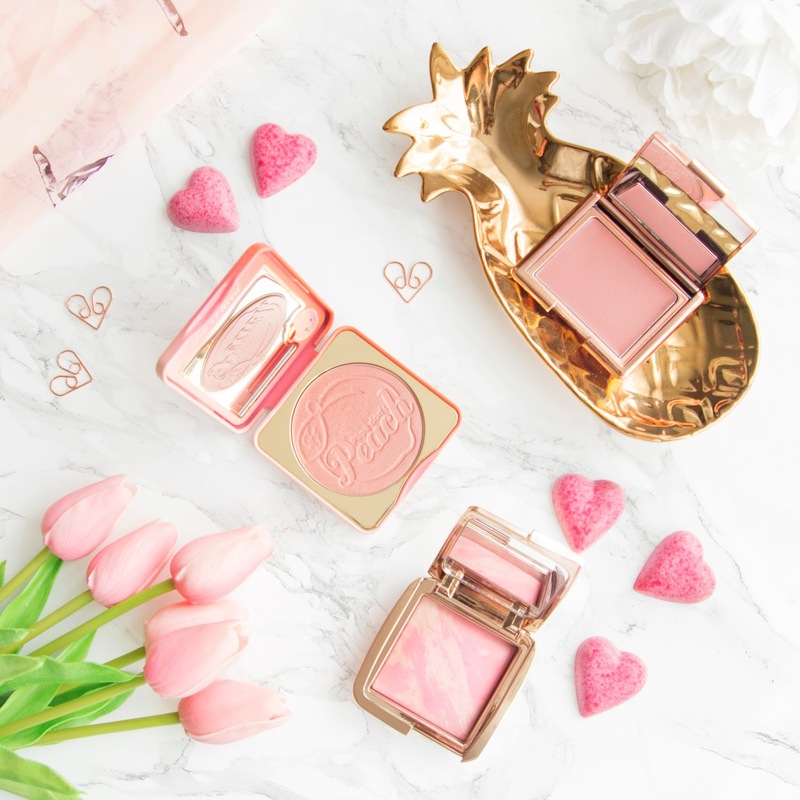 Those are my top blush picks right now, let me know what you've been loving in the comments!